Avery® 26748 Durable VIew Binders, Damask, 1”, Round Ring, 8½" x 11"
Sturdy round rings hold up to 175 sheets and two interior pockets are ideal for storing loose and unpunched papers. 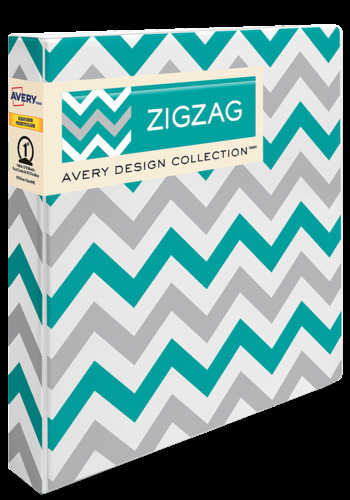 For beautiful organization, try this Durable View Binder. The sturdy construction is ideal for frequent referencing, while the glossy, fashionable design lets you take your binder anywhere. The strong 1" rings hold up to 175 sheets of paper, while two interior pockets offer extra storage and organization for loose and unpunched papers. Customize the cover and spine with free, easy-to-use templates and designs with Avery Design & Print Online Software. Fill you binder with useful accessories like dividers and business card holders to help create the perfect organization system. Organized paperwork has never looked so fashionable.